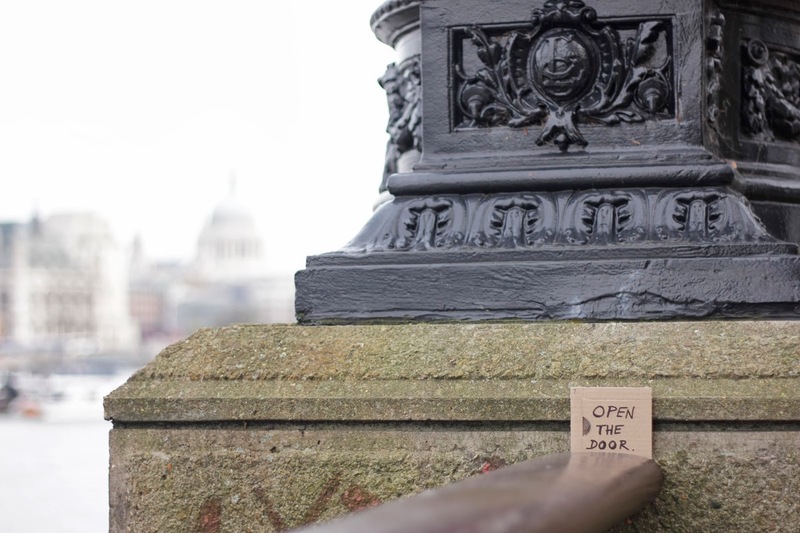 With another historic London landmark playing backdrop to today's release we are bringing back one of Collect Connect's very own. 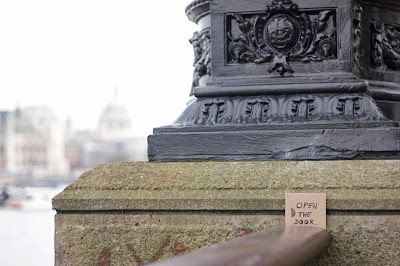 Social advent no.7 sees us making our way ever closer to the Oxo Gallery and Blackfriars Bridge. Bryan has been with the Collect Connect group since the very first show: Open Fridge at Gallery 89, Barnet College in 2010 as part of a response to a mental health brief set by curator Alban Low. 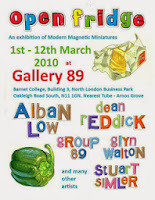 This was the first showing of the Fridge Magnets movement and also the first time all 4 members, Alban Low, Dean Reddick, Bryan Benge and myself, Stuart Simler exhibited together. From Barnet, we went on to spread the word about inclusive art projects, showing at festivals and shows across the country, representing new themes and initiatives and forging strong collaborations with each other. Bryan, is also an active member of The London Group: http://www.thelondongroup.com, which was set up in 1913 by thirty two artists including Robert Bevan, Henri Gaudier Brzeska, Jacob Epstein, Duncan Grant, Wyndham Lewis, Lucien Pissarro and Walter Sickert. Today The London Group is a thriving democratic co-operative of artists practicing in all disciplines, from painting and sculpture to moving image and performance, with a full annual events programme in London and beyond. Adding further to his accolades, Bryan was invited to curate the groups Centennial Show at Pitzhanger House, Ealing at the beginning of the year. Design, where his responsibilities include mentoring over 300 full time students across a range of BA and MA courses. 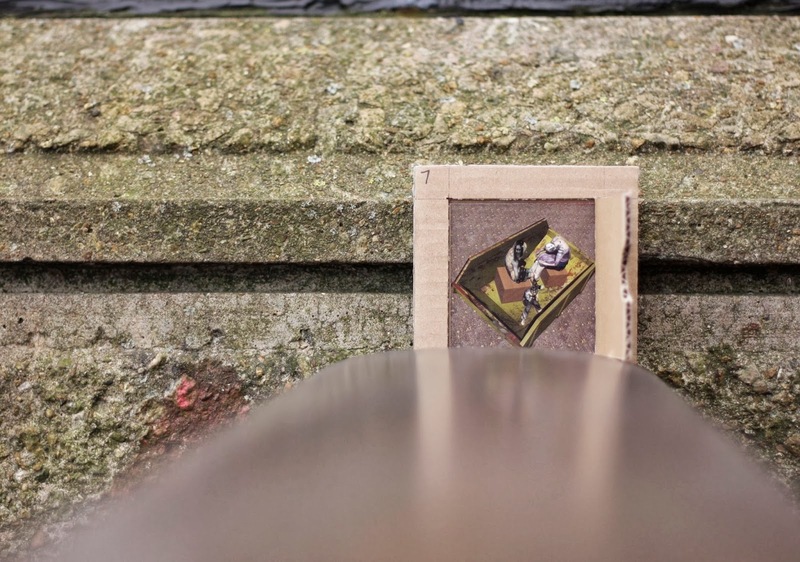 His own work depicts a depth of self investigation, which as we discovered on the first day of Christmas is hinged on the understanding of memory based on specific personal events and are then transported into the possible reality of everyday, seeking potential connections with others experiences. "Most people in work have a human resource department it used to be personnel, now a resource we are like an old table or chair to be disposed of at will by the owners when no more of use." "Skip- Miss Out, Omit,Leave out, Cut"
Keep 'em peeled for tomorrow's offerings from my compatriot, Alban Low.